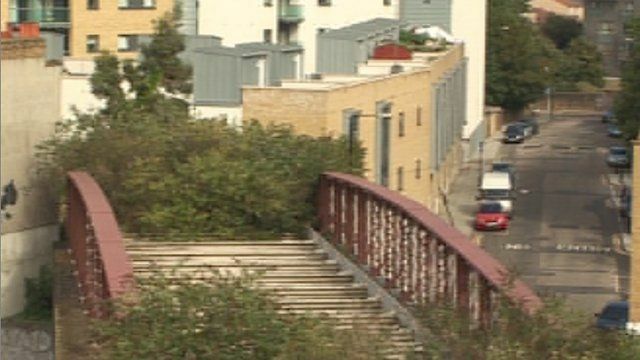 A disused railway bridge in Limehouse, east London, could become a unique park if plans for a major transformation get the go-ahead. Developers are looking to the success of New York's Highline, which has been a huge success. Gareth Morris, from What If Architects, said he wanted to create a space where people could do more than just eat their lunch, while Design for London's Tobias Goevert said he was interested in the design's potential for other areas in London.